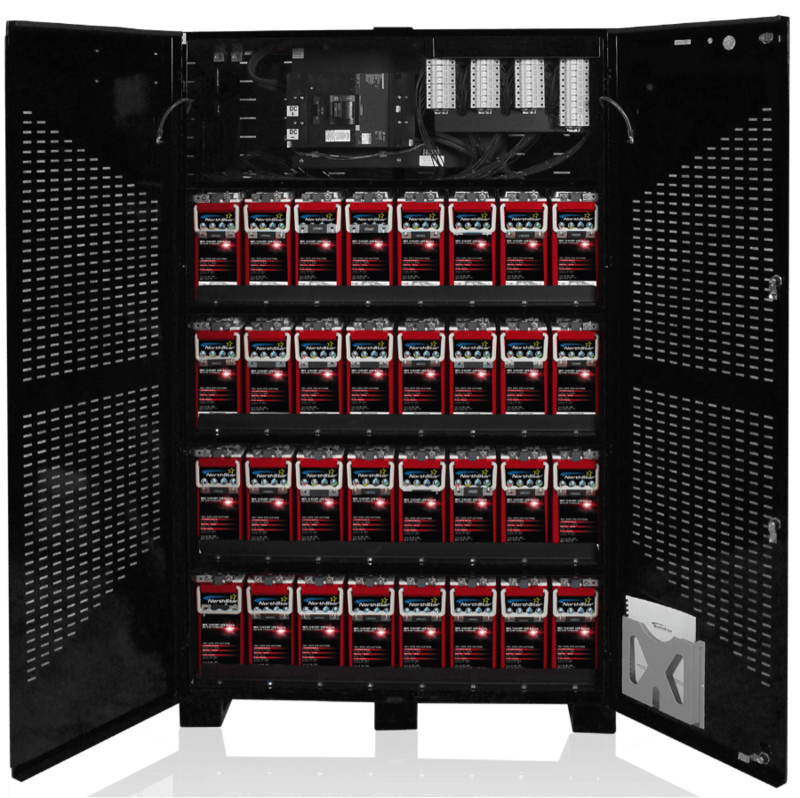 NorthStar Red UPS Batteries provides large data center customers with the most reliable backup energy solutions possible, while reducing both start-up and operating costs. NorthStar Red UPS Batteries have higher temperature capabilities that allow data centers to increase operating temperatures and reduce electricity costs by more than 40%. NorthStar Red UPS Batteries high performance batteries deliver more watts per cell, which can reduce the footprint required by 10%. Our batteries have a longer life, which means less replacements and reduced operating costs of more than 20%. The NorthStar UPS batteries are designed with advanced thin plate construction, providing greater surface area than standard batteries. The greater area typically delivers 10-15% better performance on the high-discharge rates required by the UPS industry. In the event of a power outage, most UPS users need 5-15 minutes of run-time so computers can backup important data. This puts a strain on the batteries, and the high surface area in NorthStar batteries ensures the power is delivered when it is needed. NorthStar Red UPS battery solutions multiply battery lifetime and save you energy. This delivers significant savings as longer battery life means fewer replacements.